3 for the price of one! Here’s a 1921 image of The State Theatre, 1203 J Street, the Sacramento home of M-G-M films in the roaring ‘20’s including the first epic version of Ben-Hur with Ramon Novarro in 1925. Before anti-trust laws were enacted separating film studios from movie theatre chains they operated, the major studios owned their own theatres- no middle man, all profit. This forced out independent theatres from getting films. Loew’s Inc, was an oddity in that era, as they were a chain of theatres that owned a movie studio, not the other way around. Loew’s Inc. controlled Metro-Goldwyn-Mayer. The theatre had two earlier incarnations in the same building, starting with the Diepenbrock Theatre from 1911-1915, followed by The Strand Theatre from 1915-1920. 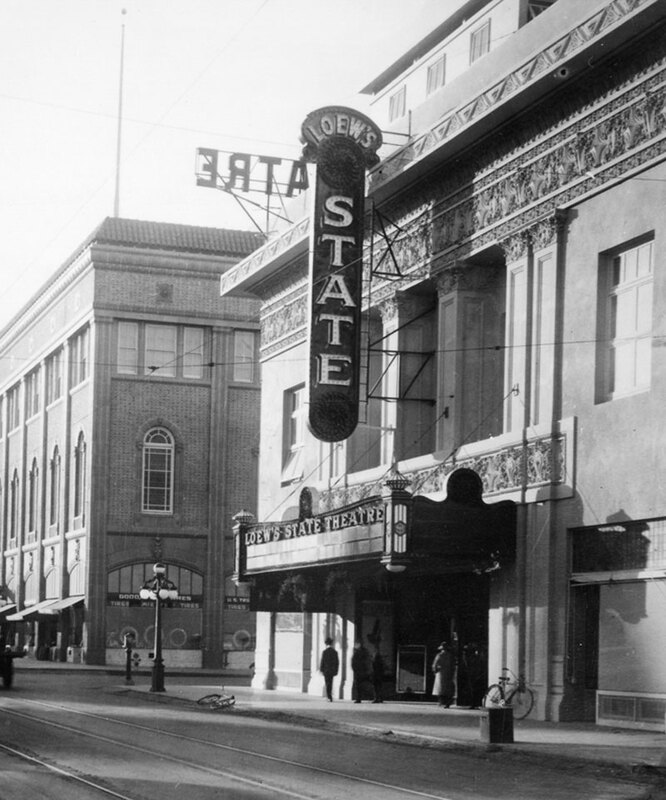 As The State Theatre, it stopped operations in 1927, although it would inspire two other theatres in Sacramento to use the same name for different theatre buildings in later years.